In this quantum physics course you will acquire concrete knowledge of quantum mechanics by learning to solve the Schrodinger equation for important classes of one-dimensional potentials. We study the associated energy eigenstates and bound states. The harmonic oscillator is solved using the differential equation as well as algebraically, using creation and annihilation operators. We discuss barrier penetration and the Ramsauer-Townsend effect. The series is based on the MIT 8.04: Quantum Mechanics I. 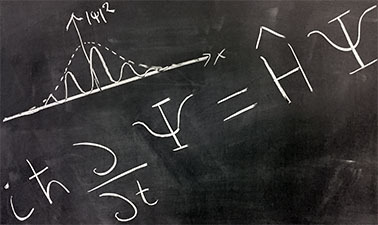 At MIT, 8.04 is the first of a three-course sequence in Quantum Mechanics, a cornerstone in the education of physics majors that prepares them for advanced and specialized studies in any field related to quantum physics. A very good course offered my MIT, after 8.04.1x. Very good materials and continuous helps from community TA have given me a good understanding.